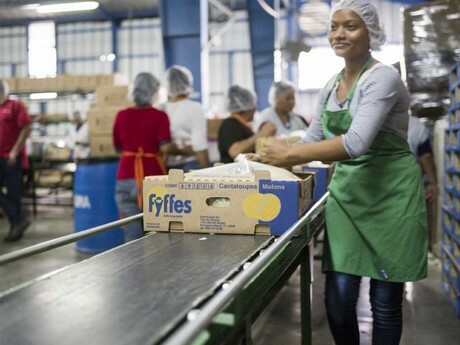 Fyffes has officially launched its new Global Gender Equality Program, which will begin on two of its melon farms in Honduras, as well as its pineapple farm in Costa Rica. 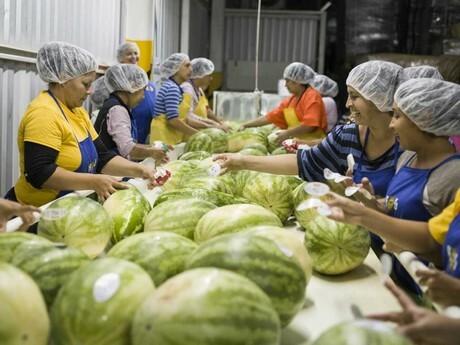 Gender equality is one of Fyffes strategic sustainability imperatives, the company said, which is closely aligned to the United Nations’ Sustainable Development Goal for Gender Equality. The aim of the Gender Equality Program is to identify challenges to equality faced by women both in the workplace and in their communities. The issues are likely to vary from region to region given the culture and local context. Interventions taken by Fyffes to advance female equality will be adapted accordingly, it said. Fyffes shared that the program gives workers a confidential platform to highlight barriers at work and at home. It will give them skills to become decision-makers and leaders in the workplace, as well as at home with their families and their communities. The program is being partially funded by the IDH Sustainable Trade Initiative and conducted in collaboration with Business for Social Responsibility (BSR), la Alianza Empresarial para el Desarrollo (AED) in Costa Rica and Fundación Hondureña de Responsibilidad Social Empresarial (FUNDAHRSE) in Honduras. To date, the program has conducted independent survey interviews with 90 female and 113 male workers, as well as 7 managers in Honduras. In Costa Rica, the program has undertaken interviews with 21 women, 32 men and 7 managers. The surveys’ findings have revealed that most workers have a clear understanding of what is not acceptable behavior at work; including sexual harassment, harsh discipline or violence. However, there is less awareness of the company policies regarding these behaviors and many workers said they would be reticent to challenge these behaviors or make formal complaints. For example two thirds of female workers interviewed in Costa Rica and 40 percent of female workers in Honduras said they felt others would disapprove if they made a sexual harassment claim at work. To address these issues, Fyffes said it has undertaken to better communicate its policies on these behaviors. The program is also establishing gender committees, comprised of both men and women, who will receive training on various gender related issues such as gender based violence, maternal health, family planning, sexual harassment, as well as communication and confidence building. The role of the committee members is to act as change agents in their workplace and their communities and give workers the confidence to tackle inappropriate workplace behavior. The committees will also inform Fyffes ongoing financial investment to tackle these issues.